Evanston resident Tania Richard. Richard and her co-host Paul Traynor were invited to present their podcast, Race Bait, at the Chicago Podcast Festival on Oct. 8. 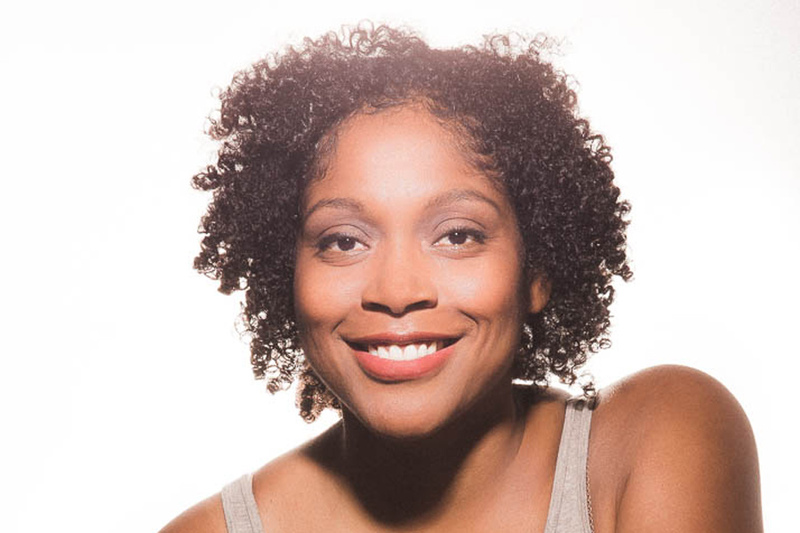 Growing up in an all-white neighborhood in Western Springs, Illinois, Tania Richard said she didn’t embrace her identity as a black woman until her 20s, when she was cast in all-black production at Steppenwolf Theatre in Chicago. “The older I get, I identify the nuances of racism, the effects of racism and try to educate (people) on how to deal with it,” said Richard, now an Evanston resident. Richard said she has spent the last several years navigating through challenges that come with an interracial marriage and with parenting biracial children and white stepchildren. Parenting is one of the topics covered in Race Bait, a podcast series hosted by Richard and Wilmette resident Paul Traynor, who is white, about their personal racial experiences. The pair will present their podcast at the Chicago Podcast Festival on Oct. 8. The podcast series is in “the moment and spontaneous,” Richard said. The hosts do not rehearse before recording and adjust their content in response to current events, such as white nationalist rallies in Charlottesville, Virginia. Richard said each episode covers a topic chosen beforehand, and they discuss the issue until it is exhausted. Traynor said the first podcast delved into the difference between growing up in a black household and a white household. “We talked about the talk that seemingly all black parents have to have: teaching kids that they shouldn’t take it personally when they’re looked at funnily or treated differently when they’re at a store or in a crowd,” Traynor said. Traynor, who initially connected with Richard at a corporate gig last year, reached out to her in January hoping to host a live event at the Wilmette Theatre, where they would discuss topics related to race. Richard said the two met for coffee, where they spoke about institutionalized racism and creating a project on race to balance the discussion. A week later, they began recording Race Bait. Traynor said realizing how different growing up is for black children was a turning point in his understanding of the racial dynamics in America — but it’s something Richard said she has lived through. At the podcast festival, the hosts will perform their recurring segment, “I’ve always wanted to ask,” in which Richard and Traynor ask each other persistent questions about the other’s race and gender. In the live show, they will encourage the audience to participate and ask questions. The festival runs Oct. 2-8 and will feature a wide range of content with 30 podcasts, including three national ones. The event, which was created in 2016, is meant to celebrate the live podcast industry, said Jonathan Pitts, the festival’s producer. Pitts said he invited Race Bait because “they talked with such intelligence and passion and insight and even humor,” and he wanted to add them to the existing lineup of podcasts providing a perspective on race. Richard said she is excited to perform live at the festival, and hopes to grow the Race Bait brand. This story was updated to clarify that Richard’s biological children are biracial.